Stop struggling to learn about the latest trends in SEO and focus on getting the foundations of SEO right. This will ensure your website rank improves over time as your business grows. The majority of your return from SEO can be achieved by focusing on these fundamentals until your business is large enough to hire an expert to work on the tiny details. Put another way, these are the small hinges that move the big doors to SEO. The video and slides from this presentation at the Raleigh SEO Meetup can be found at the bottom of this page. Search engine optimization is about three things – people, spiders, and content. People use the search engine to find things on the internet, search engines use spiders to find content on the internet, content is optimized to move your business forward by serving people in a way that search engines can understand. Let’s break this down and consider each part in more detail. Navigational queries are searches where the person is looking for something specific on the internet. For example, they may search for “Alaska Airlines” or “Raleigh City Government”. The goal is to simply find the website related to their search term. Informational queries help people answer questions and find relevant information. In this example, someone may be searching for “weather in Raleigh” or “local weather”. Using the location information provided, or collected from their user profile, the search engine provides the best result to answer their question. In this example, people most frequently search for current and future weather information. However, the search results will include data from multiple sources and even links to historical information about the weather. The most common accepted answer to the search query is at the top of the results, but there are alternative answers listed below. The transactional query type is used by people looking for a way to spend their time or money. For example, they may search for “Greek restaurant”. The results page will show Greek restaurants in their area, but it may also list directories rating Greek restaurants in the area. The intent of the search query has a strong influence on the search results page. When you look for “Greek restaurant” you will see a map with local restaurants at the top of the results page. Search for “Greek recipe” and the map is replaced by a popular recipe and image of the meal. Yet another modification to search for “Greek food” shows an ambiguous set of results with some restaurants and some recipes mixed together. 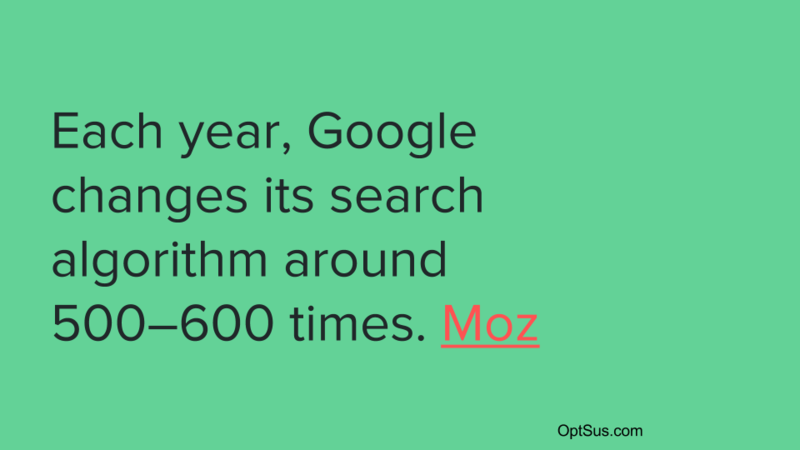 Modern search engines have a wealth of data about their users. This includes past search history as well as data collected from devices and sensors like the GPS built into a smartphone. All this information comes together to create an adaptive search which attempts to understand searcher intent. Knowing what was recently entered into the search query and how the user reacted to the results provides some information about the intent of the searcher. When someone is planning a trip to Spain, they will likely search for flights, hotels, restaurants, and activities. First, they will need to find a flight to take them to Spain. Then, they will need to find a hotel for their trip. After that, they can begin planning the details of the trip by researching restaurants and activities in the area they will be staying. Each step along this path will slightly adjust the search results shown by the search engine as it starts to learn the searcher may be more interested in results from Spain rather than at home. However, the changes will be minimal because significant adjustments do not create a good user experience. For example, changing the results page to Spanish rather than English simply because they search for flights to Spain is not a good user experience. How can spiders (search engines) best serve their customers, the people searching? There are three things that people want from a search engine, relevant results, accurate information, and they want it fast. Search engines are incentivised to fulfill these needs in order to build brand loyalty with their users. Since it is very easy for people to switch to another search engine, providing relevant, accurate, and fast results is their top priority. How can search engines monetize this transaction? The primary way to monetize search is through pay-per-click ads shown on the results pages. This creates a system in which businesses can either deliver relevant, accurate, and fast results to rank organically in the search results, or they can pay for every click that is sent to their site through advertising. However, the brand loyalty built with their users is so important to the search engine that bad content is also removed from the ad network. This is done by charging higher rates for low quality content, and rejecting the lowest quality content. One of the other ways that search engines can monetize their service is by leveraging the trust they have built with their users. That trust can spill over to additional products and services sold by the company. 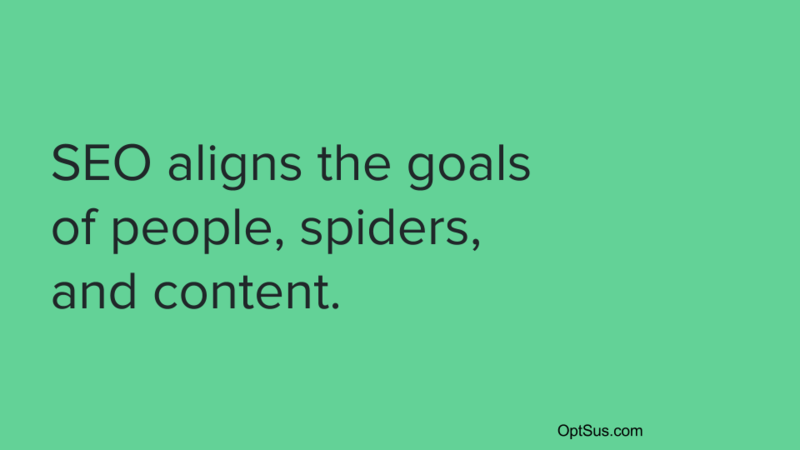 What are the goals of content creators? There are three main categories of goals for content creators, audience (traffic), influence (ideas), and sales (revenue). Every piece of content on the internet tries to reach a specific audience, influence readers, increase sales, or some combination of these goals. You have probably heard of algorithm changes named Panda and Penguin which were introduced by Google. Rather than delve into a history lesson about these changes, let’s discuss why they occur and how you can future-proof your site for the next changes. Given that Google changes their algorithm around 500 – 600 times each year, how can you prepare your site for these changes? The key is to understand why the changes are made and what is motivating the search engine to adapt. The ultimate goal is to remove bad content from the search results and promote good content at the top of the results page. If you don’t have very much to say about a topic, don’t have anything new to add, are not very knowledgeable about the subject, have to rely on tricks to get links to your content, or don’t have anything to offer the search user, then your site will suffer from future algorithm updates. Ask yourself these questions before you even begin planning or creating content for your site. If you still fee good about the content you want to create, you can move forward knowing it will be favored by future algorithm updates. Would you trust this article, website, publisher? Was this written by an expert? Would you be comfortable sharing your credit card information on this site? Are there spelling or factual errors? Does the article share original ideas, information, data, content? Is this the sort of page you would want to bookmark or share with a friend? Would users complain when they see content from this site? The main goals of content are visibility (branding), traffic, sales (ROI). You need to know what your goal is for every piece of content before you begin creating it. This will help you serve your audience and deliver results for your business. Once you know what the goal is, you can begin to look for keywords that inspire you to create content. Focus on search intent over keyword density because search engines are much better at understanding search intent and will penalize you for keyword stuffing (using keywords too frequently in a forced way). When you are writing content for your site, don’t stick with just the target keyword. You should feel comfortable using related words (computer, monitor, keyboard) and synonyms (computer, PC, laptop). In addition, your content needs to answer questions. One of the best ways to find questions to answer to to create a list of frequently asked questions from your customers. Another option is to use a site like AnswerThePublic.com. Remember, content creation today is all about quality over quantity. Long-tail keywords are those that few people are searching for, but they imply deeper knowledge or increased likelihood to take action. For example, there are a lot of people searching for “WordPress” but most of them are not interested in WordPress management services. When someone searches for “OptSus WordPress management” they are probably ready to buy that service. You would be amazed by how many companies don’t know what they want to achieve with their online marketing. Before you can achieve success with any endeavor, you need to know what change you want to make in your business. Some common examples of KPI are listed below. However, you can get creative and select something more related to your business and objectives. Always begin by looking at your site for areas of improvement. There is no point creating great content that will only be penalized for because it is published on a site that is difficult to navigate. Once the site has been addressed, it’s time to turn your attention to optimizing the page where the content will be published. This content could be a completely new page for your site, or it could be a video that will be embedded on an existing page. Be sure the page does not have any problems that would impact the effectiveness of the content you will be creating. Now that the site and the page are optimized, you can create the new content that will be published. This could be a video, podcast episode, new page on your site, or some other form of content. The last, and most commonly overlooked, part of the content creation process is promoting the new content. The goal here is to get the word out about what you have created and how it can help your audience. This is the right way to build backlinks. You could create a guest post or vlog that is related to your content and publish it with a link back to your site. Other options include being interviewed as a guest on a podcast, creating an outreach campaign, or talking about your new content on social media. How do you know your new content is working? The answer is simple, you need to measure your KPI. Start by collecting data about what is happening on your site. You can then analyze the activity and report on the results. If your goal was to “increase traffic with first page rank for another target keyword this month”, and you are two weeks into the month. Then you should be half way toward your goal. Data should show that one page on your site is moving up the ranks and that traffic to that page is increasing. Use this information to adjust based on what you learn. Within SEO, you will find a number of specialty search engines. Optimizing your site for each of these is covered in vertical SEO. Some examples include mobile, local, images, shopping, video, news, and more. Each of these areas has its own practices for optimization. The first question to ask is, why do you want to rank in this vertical? Some vertical search options offer a shortcut to the top of universal search (the standard search results page), such as videos and images. However, as we discussed earlier, some keywords will not have video, image, or map results at the top of the page. Many verticals are specific to niches like news and shopping. In these cases, the top results in the vertical only show for keywords with a news related intent or a shopping intent. If you really want to dive into the depths of SEO, my top recommendation is to read The Art of SEO. The 897 pages of this book cover everything from the history of search engines to ideas about the future of search marketing.